Christmas Pavlova! A very traditional holiday dessert! Classic in Australia and the best served on the most special day! 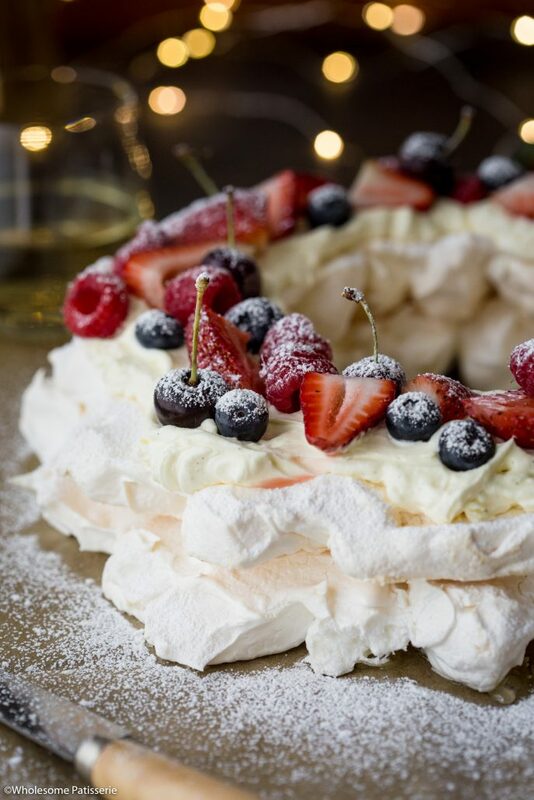 I have for you a super simple meringue recipe which you can bake a day ahead and leave it in your oven overnight so it’s fresh, crisp and ready to serve for dessert. 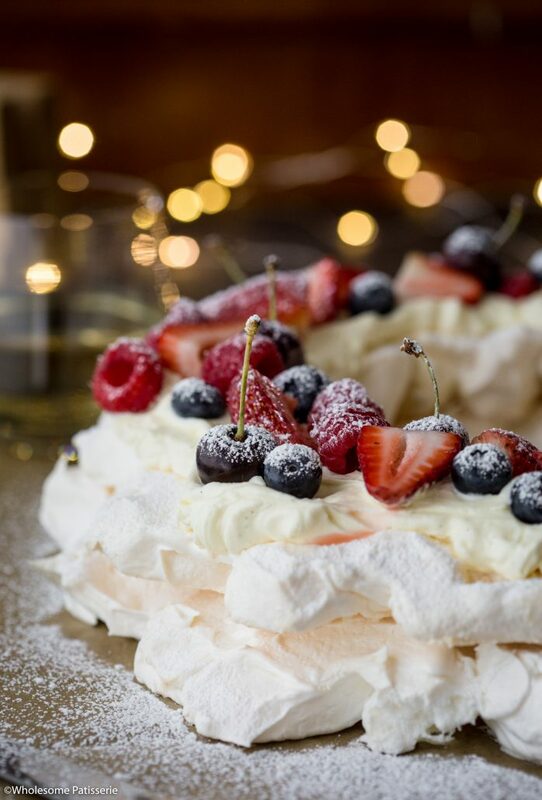 What do you like to top your Christmas pavlova with? 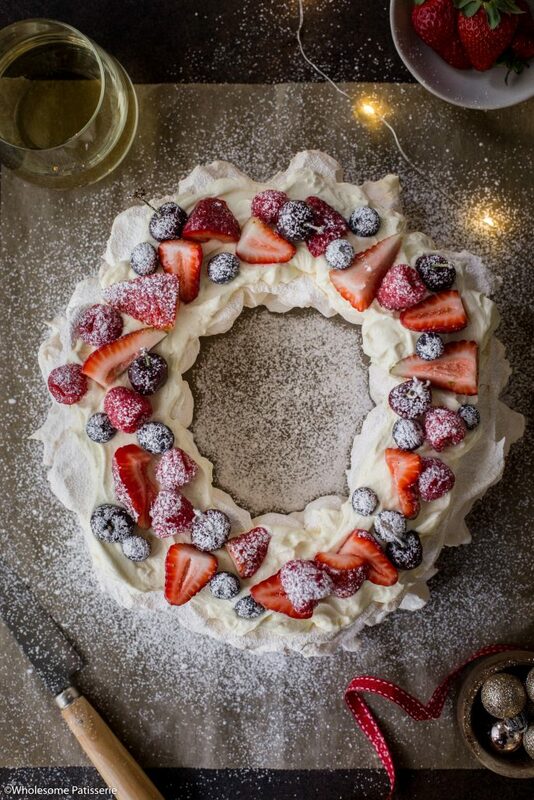 I topped my wreath with beautiful fresh berries and a dusting of icing sugar. Paired with this crispy on the outside meringue and it’s soft, chewy, marshmallow-like centre is everything and more that you need impress your guests during the festivities! 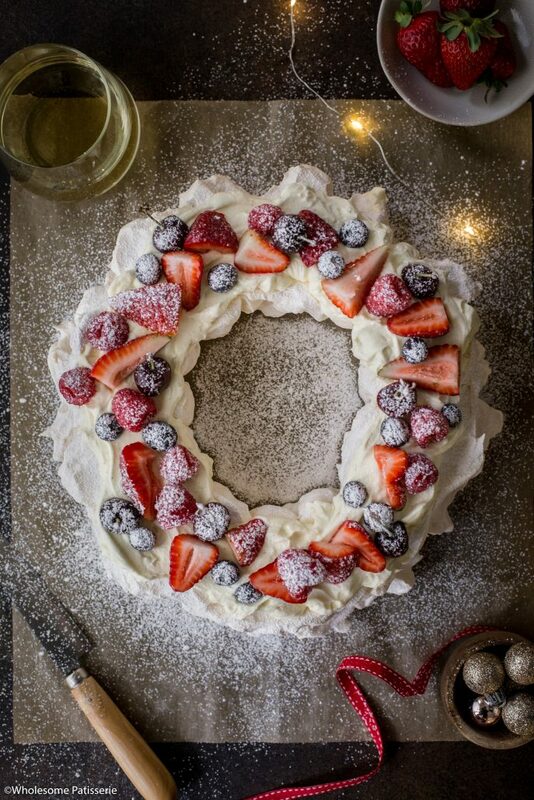 Creating the meringue into a round wreath shape is such a fun and special way to serve this Christmas inspired dessert. There will be enough to serve your family and friends, amongst other festive desserts because let’s be honest, there has to be many desserts on offer on Christmas Day! Pre-heat oven to 150ºC (302ºF). Line 2 large baking trays with parchment paper. On both trays, trace around a 22cm round cake tin onto the parchment paper, this will be your guide to create the wreath shape. Set trays aside. Once sugar is dissolved, add white vinegar and sift over cornflour. Beat meringue for a further 4-6 minutes or until stiff, glossy peaks. Peaks will hold their shape when lifted up. Using a large spoon, scoop out and dollop the meringue onto the baking trays, following the traced circle, to create a round wreath shape, on both of the trays to create a bottom and a top. Bake for 1 hour and 45 minutes or until the outside of the meringues are crisp and firm. 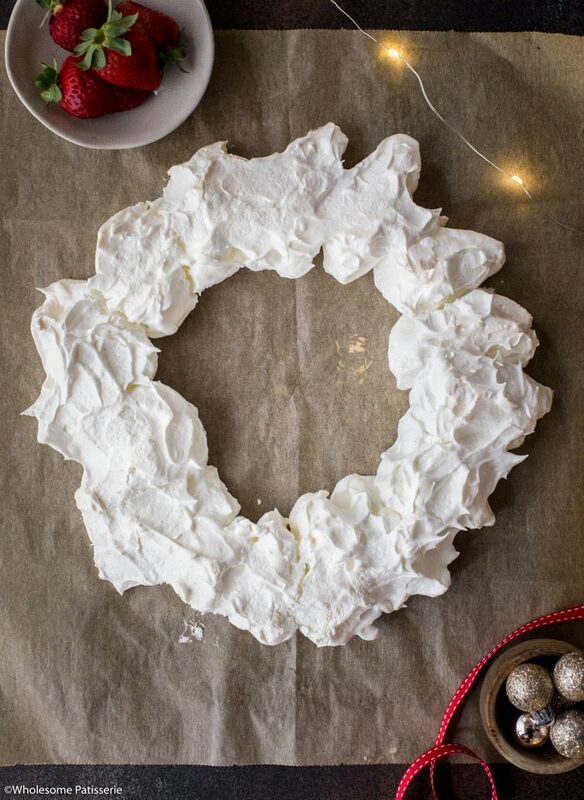 Spread half the whipped cream onto the base meringue wreath. Carefully place second meringue wreath on top of the base layer. Top with desired amount of fresh berries and a dusting of icing sugar. Store in a large airtight container, refrigerated, for 2-3 days. You may also store away baked meringues and assemble the topping before serving on the day.